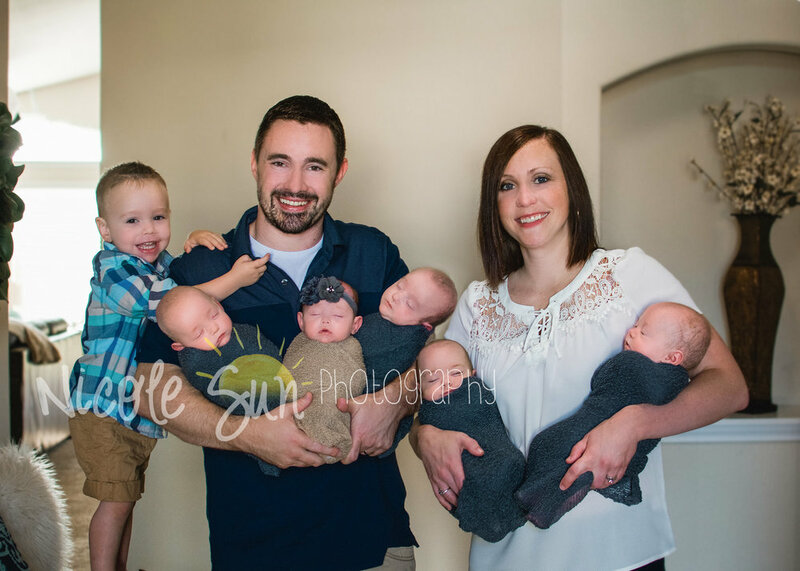 Professional Family photographer serving the 380 corridor, Little Elm, Plano, Frisco, and DFW areas. Kidding aside, let's be real for a second. 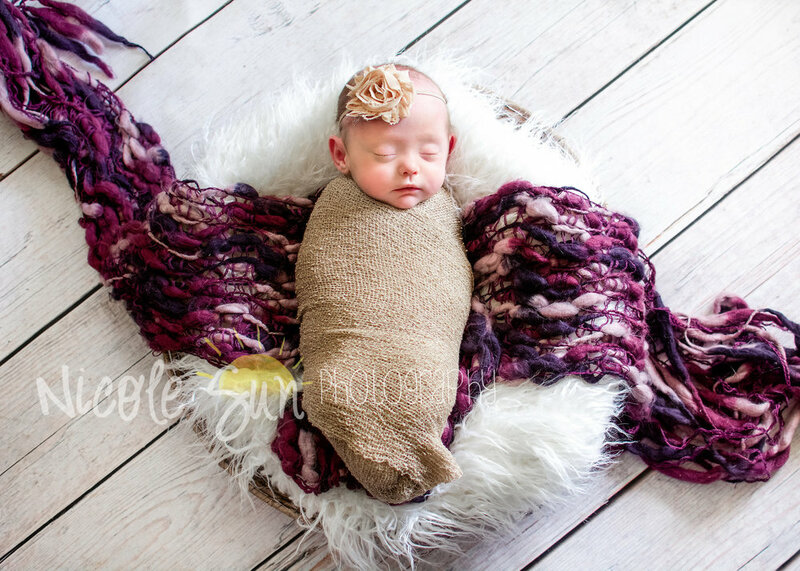 I am a family photographer and I LOVE taking newborn photos but it is not something I do it as often as someone who has dedicated themselves to that industry alone. I have never even taken photos of newborn twins never mind QUINTS. We knew that these babies would likely be born preterm and have a long NICU stay which complicated the typical 2 week window you'd use photographing newborns. Oh also, they have a TV show and will be filming this special occasion. No pressure! I finally came to the peace-filled realization that God did not bring me to this point in my photography business to let me fall on my face on national TV. The Hodges believed in me and were insistant that I do this for them and so I did. I prayed mightily that God would bless this gift and talent He's given me to give my dear friends treasured photos of their amazing miracles. Ultimately that's all that really matters. 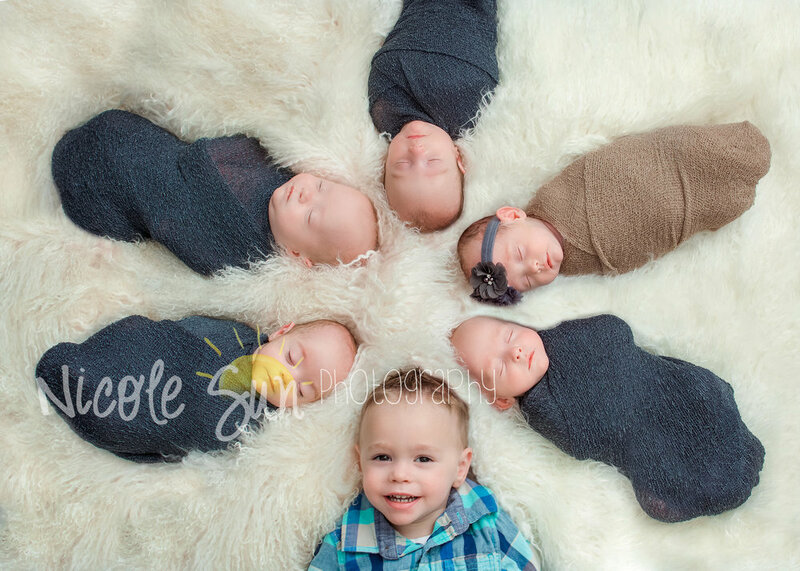 So here was the game plan: We prioritized shots and went for the quints, siblings with Rowan, each baby individually and then the family of 8. To play it safe we planned swaddled basket shots. To keep it simple we used only one set of wraps to minimize transitions and the same set up for the boys and a very similar set up for Teagan. With Kelley, Donna, Daniel and Liz all there I knew we had plenty of capable hands and helpers. And then we just prayed it would all come together! The Hodges get asked all the time if there are any twins in the mix. Which is funny to me because they all look so different! But there are still FIVE and it can be overwhelming just to remember their names. After guessing and failing an embarrassing number of times...here are the memory tricks I use to tell the babies apart. Too easy. She's the only girl. And always dressed girly-girl which makes it even easier. She is the most petite in the group and to me has the most feminine features. "The Brows." If you've got the whole bunch together, Teagan and Liam are the easiest to pick out. Liam has a Long face (Liam-Long) and the eyebrows. Also BROW has four letters and so does LIAM. I think of the boys in pairs and to me, Connell and Liam go together because they both have long faces. Connell - long name - long face. But not the strong brow like Liam. So long face but faint brows - that's Connell. Dillon I nicknamed Dilly-Bear. Which I did long before I noticed his teddy bear like features. Dillon has a round head, big sparkly eyes and ears that stick out just a little. Like a teddy bear! If I'm going to get two mixed up it will be Nolan and Dillon because to me they look the most alike. When they are not side by side or I don't get a good straight on view of them, it's 50/50 if I'll get it right. Nolan looks a lot like Dillon because of his round head. Like a baseball. Nolan Ryan = Baseball. You can follow these sweet miracles on Facebook and Instagram and I hope you'll watch their show on TLC on Tuesday at 10/9c - it replays on TLC's show page or their app TLC Go. If you're doing everything, you're not good at anything. It was akin to "Jack of all trades = Master of none." So I gracefully decided to allow myself a few years to try all kinds of photography and then I'd pursue the "niche" that I felt the most drawn to at that point. 1. "Your Family's Photographer" was built on a deep commitment to build a relationship with your family. I want to be there to photograph whatever is important to you in whatever moment you're living .... your milestones, celebrations, and adventures. That means if wedding clients gets pregnant, I'd be honored to take their maternity photos and newborns too. 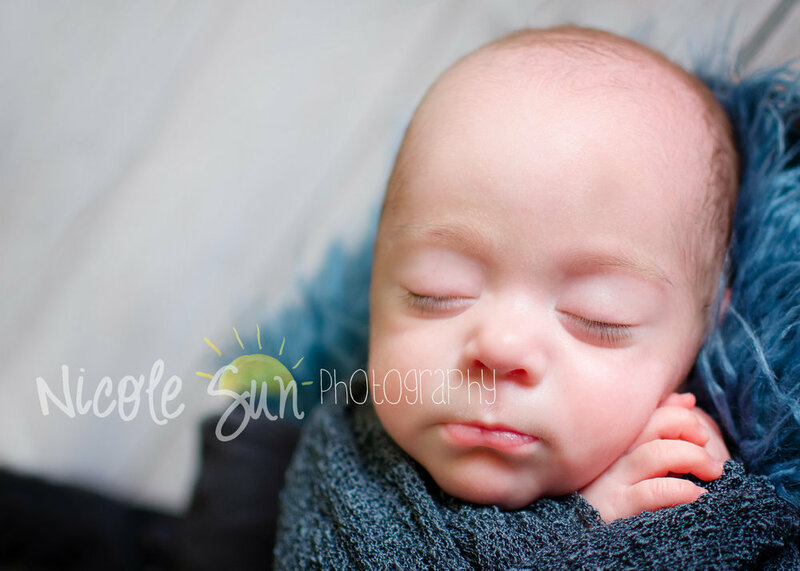 If a newborn I photographed is starting kindergarten, I'd love to take their school photos. If a family I've photographed is starting a business and needs product photos, it would be my pleasure to support them in that endeavor. If someone needs a headshot for work, let's bust one out. If you're selling your home and need real estate photos, I'd love to be there for you to ensure your quick sale. I suppose if I poured all of my training, equipment, advertising, and expertise into just one of these areas I could be a lot more profitable but that's not why I'm doing this. My hope is that every time you think "I need a photographer!" you know exactly who to call. 2. But how can I do all these things well? This is the crux of the original statement. Can I do all of these things as well as someone who does only one thing? Perhaps not. But that's the challenge I love. I love the excitement (and fear) of doing something I don't do that often. I love reading, learning, watching tutorials, and trying new things. I love pushing myself and getting out there into new territory. This feeds my creative outlets but it's also for you. I want to be a well rounded photographer who can fulfill your visions, hopes, and requests. You'll won't likely hear me say, "No". I'm your family photographer. Bring it on.